Logo, branding and website design and build. 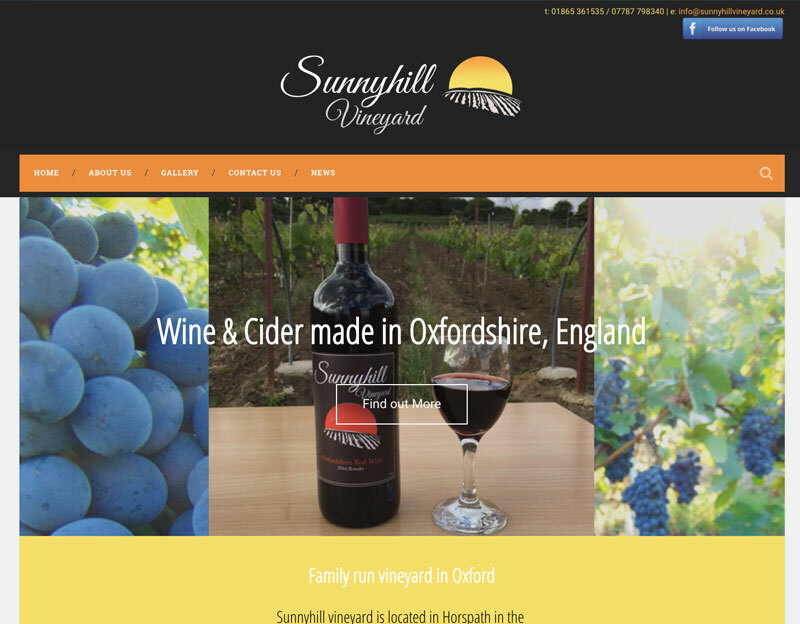 Sunnyhill Vineyard are family run located in Horspath in the heart of South Oxfordshire 3.5 miles east of the centre of Oxford. They produce red and white wine, sparkling wine and cider. I have had the pleasure of working with them from the start on the total look and feel of the website and the wine labels. We first started with the wine labels and from this the look and feel of the website. At the moment the website is just simple brochure site as the aim is to build audience and raise awareness of the vineyard. When they are ready to sell the wine we will be introducing an online sales element to the website. Below you can see the main logo which is used on the white wine label and the website. I have also included a picture of the wine bottles so you can see how the design changes depending on what the product is. 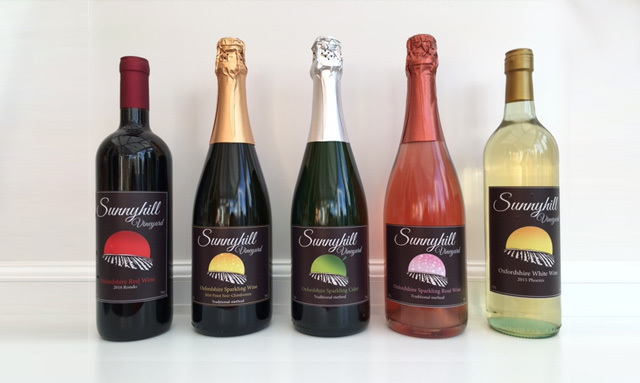 The website is built in WordPress so that it can be updated regularly by Sunnyhill Vineyard. I also helped with set up and branding of all social media that they are using.